Pick up on these tips. (SPOT.ph) The smartphone is a modern-day miracle we often take for granted. Just over a decade ago, everyone was bowled over by the concept of camera phones. Now, not only can our phones take photos, but they also help us navigate, let us answer emails, keep us abreast on current events, and take charge of our love lives (ehem, Tinder, ehem). Still, despite your phone’s amazing capabilities, a little manual tinkering would do it a lot of good. 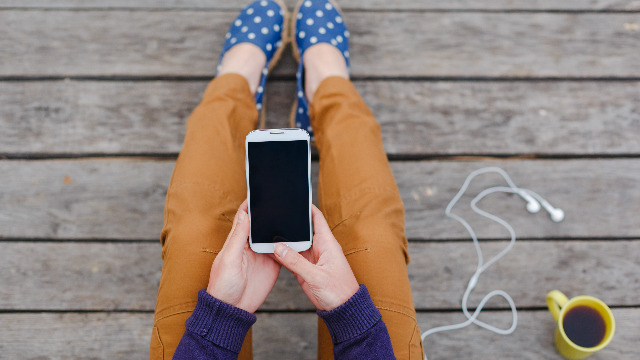 Here are some basic things you can do to get the most out of your smartphone. 1. Turn down the screen brightness. Your phone’s display can drain your battery like a little kid gobbles up candy. Preserve your juice by using auto-brightness, or better yet, manually adjusting your screen’s brightness to the dimmest setting you can put up with. While you’re at it, set your screen time-out—the amount of time your screen stays lit after tinkering with it—to the shortest available time. 2. Go easy on the Internet. Turn off your mobile data, Wi-Fi, GPS and Bluetooth when you’re not using them. These “vital” features can drain your battery faster than you can say “Facebook,” so shut them off when you’re out and about—you’ll see the difference once you do so. If we were able to survive for years without having the Internet at our fingertips, surely a few connectivity-free hours wouldn’t hurt, right? 3. Give your lens a rubdown. This is basic advice, but most people forget about it. Your phone lens are actually subjected to more dirt, fingerprints, and abuse than regular cameras, and a quick wipe can spell the difference between a smudgy pic and an Instagram-worthy shot. 4. Play with the camera settings. Don’t be afraid to dive into your camera’s menu to see how adjusting the settings can affect your photos. Experiment with ISO, HDR, white balance, and aperture—not only will you see the difference in your shots, but you’ll also get a hands-on crash course on photography terms! Its 4100mAh capacity lithium-polymer battery can last for an incredible 30 days on 3G standby - far longer than the phones we're accustomed to All that power opens up so many possibilities: up to 18 hours of Wi-Fi web browsing, 20 hours of 3G talk time and 87 hours of music playback (Game of Thrones marathon, anyone?). You can even use it as a power bank for your other gadgets - it's that powerful.The impressive battery life, couples with its impressive premium features, make it a smartphone worth considering. On the other hand, if mobile photography’s your thing, you won’t go amiss with the all-new, premium-looking ASUS ZenFone 3 Laser. This baby got its names from the super-fast laser focusing system in its ASUS PixelMaster 3.0 camera, the product of the latest hardware and software advancements. Its main rear camera uses a 13-megapixel Sony camera sensor, which, coupled with its class-leading 0.03 second,1.5-meter laser auto focus, 52-megapixel super resolution, and 2.0 aperture that allows you to create extremely detailed, high-resolution images faster than you can blink. Combined with features such as Low Light Mode, Super Resolution Mode, Slow Shutter Mode, Advance HDR and 3-axis video electronic image stabilization (EIS) for blur-free video, and an automatic color correction sensor for true-color photography—you'll never want to take photos with anything else ever again. Tune into ASUS Philippines’ social media pages for more information on local pricing and availability. 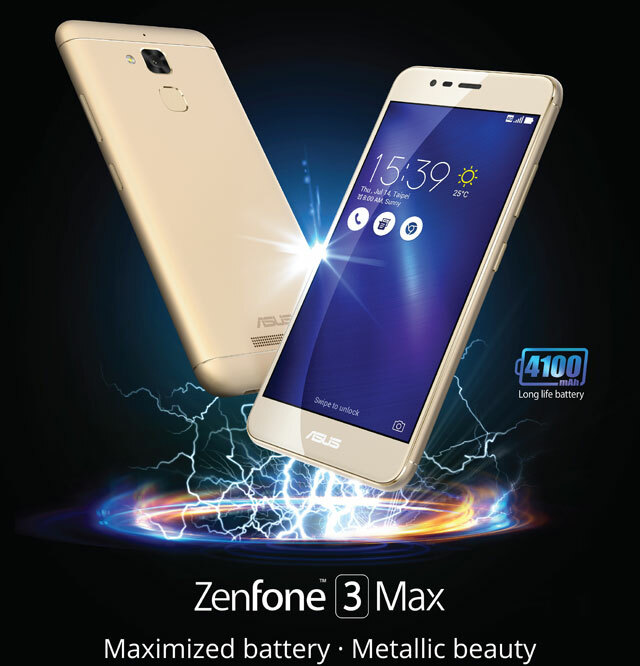 ASUS Zenfone 3 Laser and ASUS Zenfone 3 Max will be available at ASUS concept stores and leading mobile phone stores nationwide. For more information on the Zenfone 3 Max, click here. 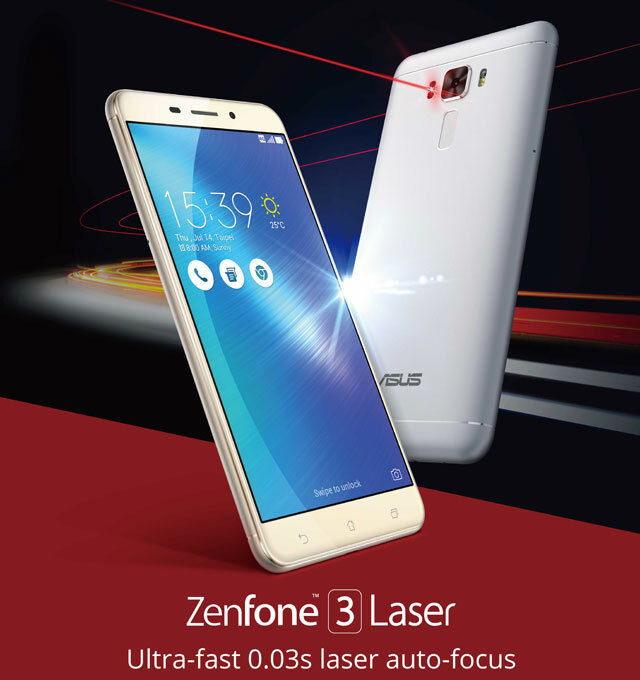 For more information on the Zenfone 3 Laser, click here.